The Incheon Port Authority (IPA) has successfully attracted two world cruises in 2020 from Celebrity Cruise, and signed an MOU with Taiwanese cruise authorities while participating in the Seatrade Cruise Global 2018 that took place in Florida, the United States. The Seatrade Cruise Global 2018 is one of the world’s largest cruise markets. An IPA delegation toured Celebrity Cruise headquarters and met with the Vice President of Celebrity Cruise to explain the opening of Incheon Port’s cruise terminal slated for next year and its attractions as a port of call. 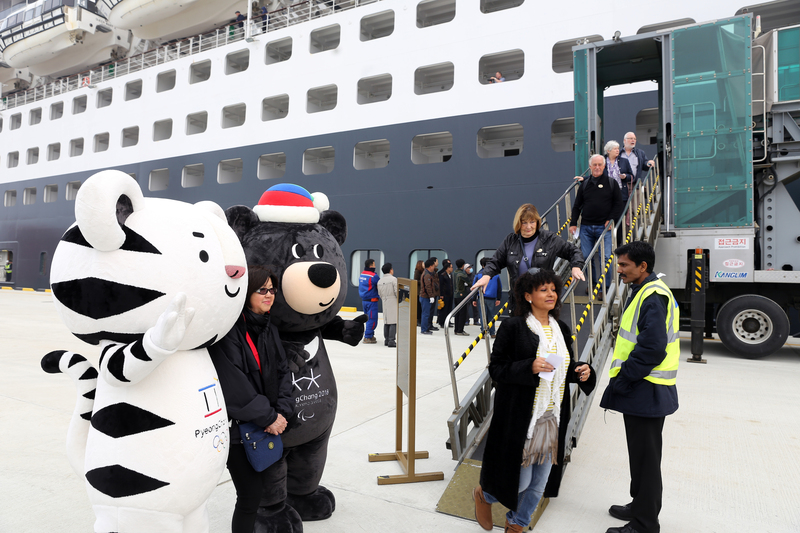 Celebrity Cruise agreed to send the 91,000-ton Celebrity Premium, Celebrity Cruise’s representative cruise liner, to Incheon Port twice in March 2020. The IPA also agreed to raise bilateral cooperation to a higher level on the sharing of cruise schedules and terminal bench marking with Taiwanese, Hong Kong and Japanese cruise authorities. In particular, the IPA signed an MOU on ways of boosting the cruise industry with the International Cruise Taiwan, the last port of call of the Costa Serena, which will depart Inchon in May. The IPA also discusses ways of promoting development during meetings with Asia Cruise Cooperation Chairman Anthony Lau and representatives from ACC member countries, including China, Taiwan, Hong Kong and the Philippines. The IPA delegation met with representatives from Cunard Line again following a meeting in February in the UK and rescheduled Queen Mary 2’s port of call to Incheon port in time for the opening of the Korean port’s cruise terminal slated for next year. 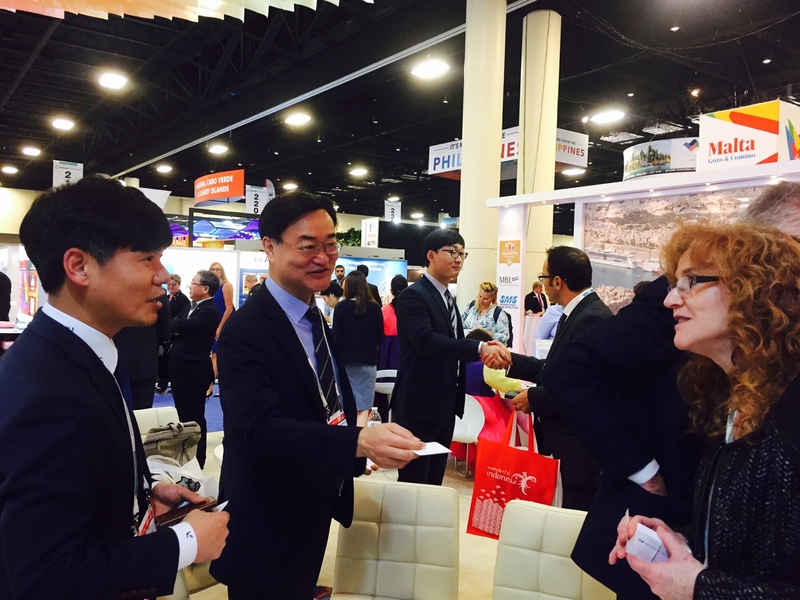 President Nam Bong-hyun of the Incheon Port Authority (IPA) talks with a foreigner at the IPA’s public relations booth while while participating in the Seatrade Cruise Global 2018 that took place in Florida, the United States. The IPA held a business explanation session targeting potential investors, including project owners, contractors and financial institutions on the development of the site of the 1st International Passenger Terminal on March 8. According to a plan on the development of the site of the 1st International Passenger Terminal, the IPA decided to develop multi-purpose complexes, including residential housing and commercial buildings on the site. The plan on how to utilize the former site of the 1st International Passenger Terminal was established based on experts and stakeholders’ views in 2016. The session focused on plans on the selection of private sector investors and the disposal of sites and structures. It was designed to give an explanation on the current status of the site, development direction, and other details and hear views from potential investors.